If your order weighs less than 13 ounces, save huge on shipping with USPS first class (with tracking number). This product weighs 2.3 oz. Nature’s Sunshine Vitamin E supports circulatory, structural, and cardiac health. One of the most prevalent vitamins in nature, vitamin E is often missing in modern diets because of the commonness of processed foods. 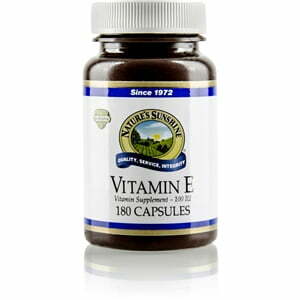 Vitamin E keeps the blood flood and helps maintain the skeletel, muscular, and cardiac systems. Additionally, it helps the body store vitamin A and iron. While vitamin E can be found in many chemical forms, Nature’s Sunshine Vitamin E comes only from vegetable sources. 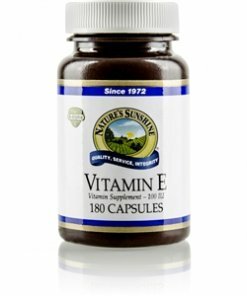 Vitamin E capsules consist of vitamin E in a base of cold-pressed soybean oil. Instructions: Take one capsule daily with a meal.